Banaba Leaf is found mainly in India, South East Asia and the Philippines. Banaba Leaf Extract contains a compound known as Corosolic Acid (2 alpha-hydroxyursolic acid) which is reputed for topical use to reduce lipid content of skin. It is suggested to be good at reducing the effects of aging and photo-aging, skin atrophy and retenoid dermatoses, for treatment of ichthyosis, ichthyosiform dermatoses, acute dry skin and acne. 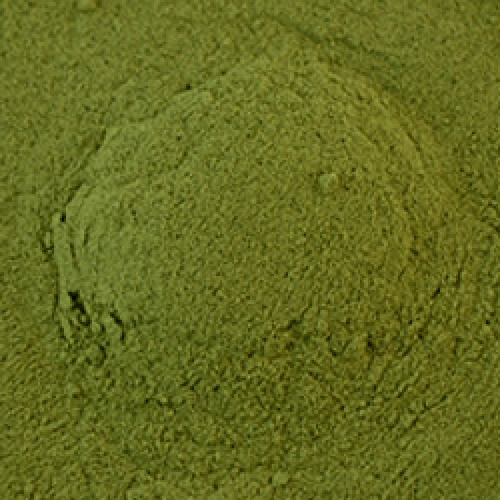 It is a fine green powdered extract that is rich in magnesium, calcium and zinc. This extract is perfect for use in lotions and gels.